We never fail to be charmed by the elegant Chateau's in France; the romance, the history, the locations... what's not to love. This stunning editorial at CHATEAU CHALLAIN was dreamt up by Hawaii wedding photographer ALICE AHN PHOTOGRAPHY and the end result was exactly as she'd envisioned. 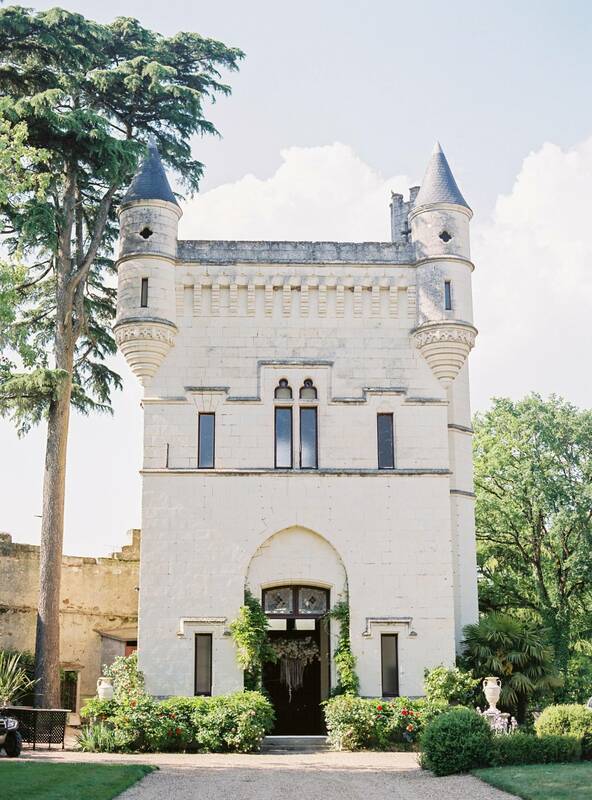 She tells us, "Walking into this historical and fairytale-like chateau was a jaw-dropping moment! We were all simply swept away by this luxurious Chateau. A grand hall with a marvellous high ceiling, the secret garden with flower pads and lakes, the neutral tone carved wall, elegant French windows, oh it's a dream fairytale wedding coming to life! The cape from JACLYN JORDAN NYC matched so well with its grand entrance. 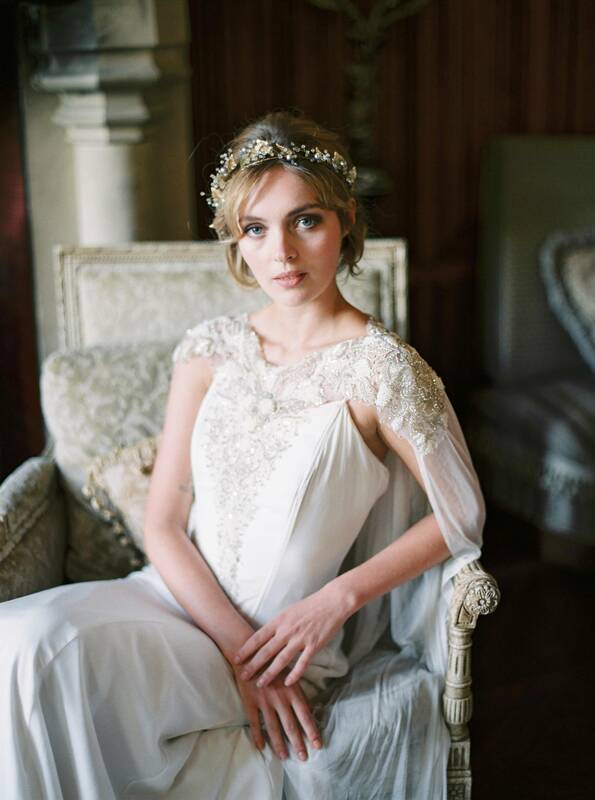 The beautifully made jewellery and crowns by GIBSON BESPOKE went perfectly with the fairy tale garden and ornate walls and decor of the Chateau." 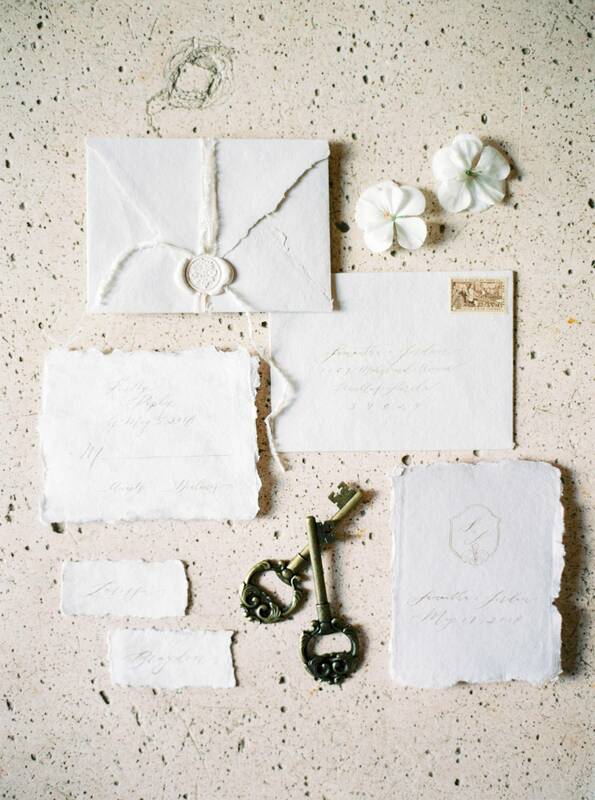 A big thanks to Hawaii wedding photographer ALICE AHN PHOTOGRAPHY for sharing this beautiful Hawaiian wedding inspiration with us. As a fine art film photographer, ALICE AHN offers specialty photography services for weddings, engagements, and events. Her timeless sense of style translates seamlessly to her art resulting in captivating imagery that lasts a lifetime. If you're looking for a Hawaii wedding photographer you should definitely check out more of her portfolio in our VENDOR GUIDE and be sure to check out this Modern Chic Sophisticated California Wedding Inspiration.